And another week passes swiftly, we had clear calm sunny weather, although cold of course, the grass doesn't dry with no wind. But today was colder and no sun. But I don't mind cool weather so long as I am not out in it! Today I sat down and deleted and tidied up a second Kindle I have, to lend a few books to one of my sisters. Well I had to do every book that I wasn't deleting, as I had still a lot of books, it took me a lot longer than I thought. Lesson learned, return to the beginning when I have finished a book on my Kindle! So now all I have to do is deliver it and hope she can manage it. While I won't be writing a review here on the blog for Small Great Things from my TBR pile I loved it and it will be one of my top reads of 2017 for sure, it was my top read for May and I read many very good books in May, so stiff competition. I had tried another book by RaeAnne Thayne and didn't like it, but have to say this one I did like and so I can see why others have enjoyed her books. 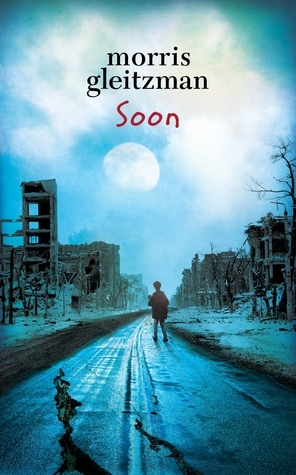 I have read the other books in this series and Soon came out in 2015 and I hadn't reached on it. The war has just ended and Felix is in Poland as a 13yr old. Life is tough, but his wonderful compassionate, courageous, optimistic and funny voice is still present. Morris Gleitzman has done a superb writing effort with this series, I admire them so much. At times very heartbreaking though. I just visited his site while writing this and I see he intends to write at least two more. So hope he does, taking us to Felix's journey to Australia and when he is elderly. And from the TBR shelf I read Saving Grace. I enjoyed it although wasn't a keeper for me. Still listening to Goodnight from London. I loved Small Great Things...and I'm ogling The Garden of Small Beginnings. Enjoy your week, and thanks for hosting. Happy Monday! It finally warmed up here although it's been cool in the mornings. Summer is taking its sweet time getting here ha ha. But I'm with you, I don't mind if it's cool especially if the sun is out. It's those clear skies I love! 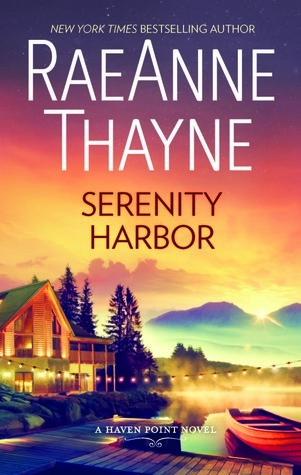 I'm looking forward to reading Serenity Harbor. I read Once by Morris G. and really liked it. Hope the sun comes shining for you. Happy Reading! I'm seeing The Garden of Small Beginnings on a lot of blogs. I'll look for your review. Enjoy your reading week. Looks like you had a good reading week. 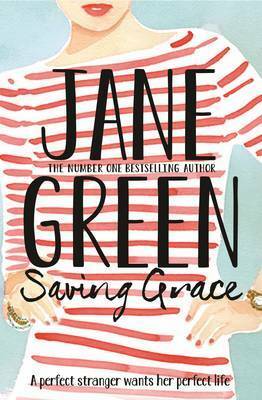 Jane Green books are a hit and miss for me, sometimes I love her books and sometimes I can't getting into them and don't read them. But glad that you liked the book though. 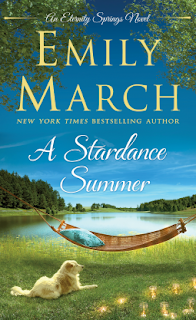 Emily March book looks good. It's getting warm here. We made lots of progress on our plans to sell our home and move. Wishing you a wonderful week - The Garden of Small Beginnings sounds like it could be a great read. I really need to read a Picoult book one day... I just need to wait for my emotions to be ready! Going through the Kindle sounds like a huge job! I might have just reset to factory and started again. 😂 Lucky sister! A Garden of Small Beginnings looks good. I recently bought a Kindle...I am still learning. Looks like a good week...sorry about the cold weather. It is spring/almost summer here, but it is too cold for me. The temperatures are not summer temperatures. I want 80's, and it is only in the 60's. Cleaning up a Kindle sounds like a huge job! I know your sister will be so happy, though. So glad you liked Small Great Things. It was one of my favorites from last year. We just got The Garden of Small Beginnings at my library. I'll have to check it out sometime. Hope you enjoy it. I have so many books on my Kindle that I should probably delete as well. Every once in awhile I go through it but not enough. Your list of books has all my favorite authors. Enjoy and have a great week! I'm adding the Jodi Picoult one to my Wishlist. I have the audio for The Garden of Small Beginnings. Have a great week! Haven't read any of your books. 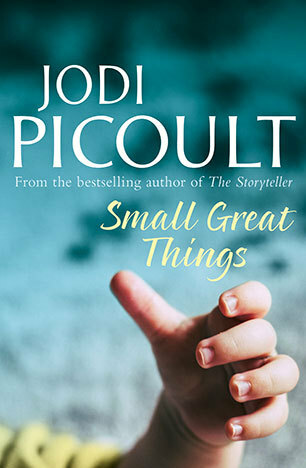 Love the cover of The Garden of Small Beginnings, I'll have to check that one out. Have a great day! So glad to hear your thoughts on Small Great Things! My son just gave it to me for Mother's Day, and I can't wait to read it. I always enjoy Picoult's novels - they make you think. My challenge will be to not let it sit on the TBR shelves for too long! My reading of last week was woefully light; I've really got to kick it up a few notches this summer. Kathryn, you're always busy, all new books to me. Do you review the books from your TBR stacks? I often do, but also because I like to just share what I read, whether I bought it, borrowed it or was sent for review. All my audio listens I purchase, at least as of late. Have a wonderful week!! 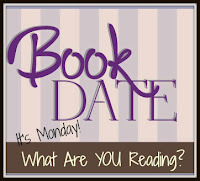 Anita I often don't review the TBR books - mainly just to have a blogging break really, I just leave a short review on GR. Occasionally I get so blown away by the book though I review it on the blog as well. Looks like a good week Kathryn!! What a solid week you had. My little one is starting to read more middle grade fiction now. The tween graduated from middle grade to high school; she's a big fan of realistic fiction. I will try to work on a book post. I'm makin' a chowder right now and running the little one's laundry. I should go through and delete books off my Kindle as well at some point. There are so many books on it and it's kind of a pain to find the ones I haven't read yet. Enjoy your week! I am really, really interested in The Garden of Small Beginnings. I keep seeing it everywhere. Look forward to your review. 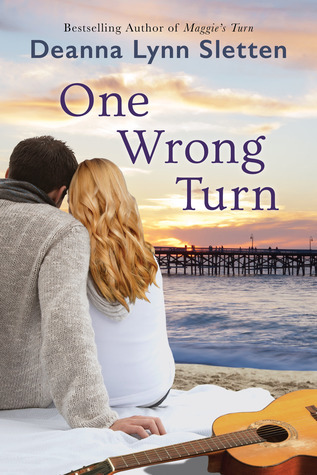 I'm so glad you enjoyed this latest RaeAnne Thayne! I'm a fan but I've only read her books from the last couple of years. I can imagine getting the Kindle ready to gift was quite a to do! Nothing's ever quite as simple as we expect. I'm with you on cold. It's fine if I'm looking at it through a window! Have a great week! Oh awesome to hear Thayne's book was good. Hers are always so dang pretty and tempting. Thank you for your mini updates on each book. All new. Awesome reads. I saw a few I would like! Garden of Small Beginnings was so dang good! !